Property 15: New apartment ready autumn 2017. On the outskirts of St. Margarethen. Property 16: New apartment ready autumn 2017. On the outskirts of St. Margarethen. 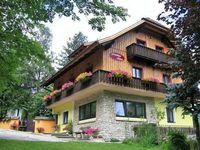 Property 24: Comfortable appartment located at the edge of the village St. Margarethen. 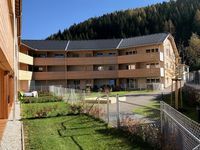 Property 28: Nice and modern apartment in a top location in St. Margarethen. Good and modern apartment in prime location in St. Margarethen. Property 41: Good and modern apartment in prime location in St. Margarethen. Great apartment! Clean, updated and spacious. This is a great apartment! All the appliances were updated and the space was clean and inviting. It worked out perfectly for my family. Communication with the owner was quick, and the nearby town (at the bottom of the hill) was very nice -- with a number of nice restaurants which we enjoyed. The kitchen was fully equipped, and we ate breakfasts there, but decided to enjoy the nearby restaurants instead of cooking. We would definitely stay there again.